Diana got hurt — a lot — and she’s decided to deal with this fact by purchasing a life-sized robot boyfriend. Mary and La-La host a podcast about a movie no one’s ever seen. Kelly has dragged her friend Beth out of her comfort zone... and into a day at the fantasy market that neither of them will forget. Carolyn Nowak (Lumberjanes) uses fantasy worlds to explore profound truths. 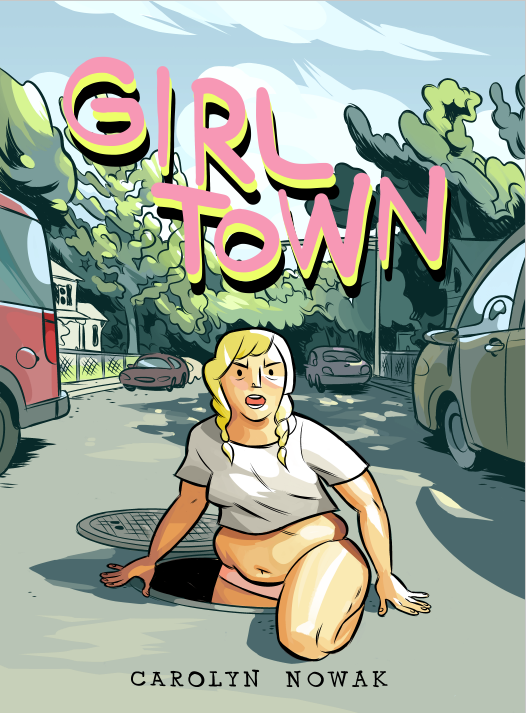 Her solo debut, Girl Town, collects the Ignatz Award-winning stories “Radishes” and “Diana’s Electric Tongue” together with several other tales of young adulthood and the search for connection. Here are her most acclaimed mini-comics and anthology pieces, enhanced with stunning new colors and joined by brand-new work.